Listen to and record over 50,000 radio stations from around the world on your BlackBerry®. Whether you're looking for music, news, sports, talk or anything else in between, you can find it with TuneIn. The application requires WiFi or celluar data connection. BIS-B and BES connections are not supported. 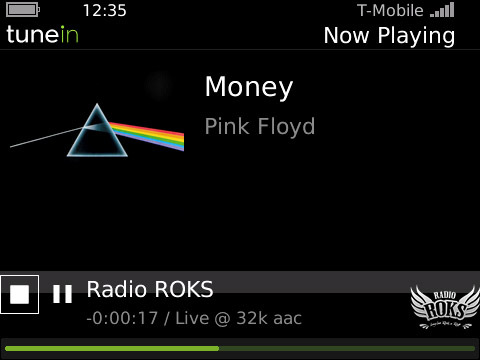 For a free ad-supported version try TuneIn Radio.